Trusting the wrong company with your exhaust cleanings can land you in hot water with the fire code inspector or even lead to a fire at your restaurant. Stop worrying and hire Flue Steam. 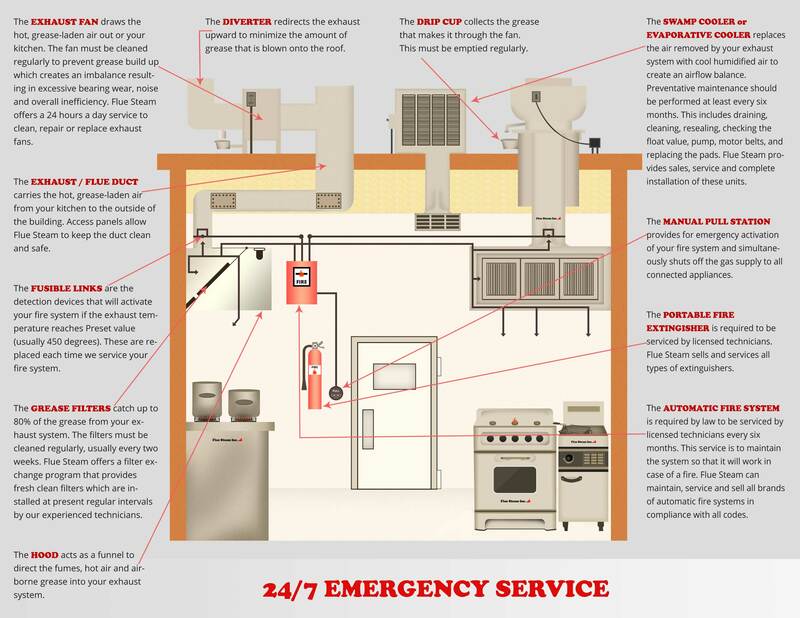 We have been providing superior restaurant kitchen exhaust cleaning in Santa Ana CA since 1971, and you can count on our certified techs to help you meet your code requirements and keep your kitchen and your employees safe. Depending on the type and amount of food prepared in your restaurant kitchen, you may need cleaning more or less frequently than the average restaurant. Fortunately, our two cleaning methods can be combined to meet any and all cleaning needs. Most clients end up getting hand scraping every month to control grease on exhaust hoods, and steam cleaning 2 to 4 times per year to reach hidden grease deposits way up in the ductwork. 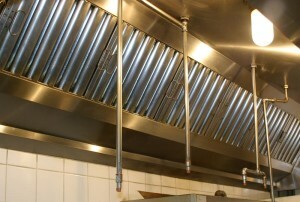 We’ll help you find the ideal schedule for restaurant kitchen exhaust cleaning in Santa Ana CA that balances budget concerns and safety requirements. Following every hand scraping or steam cleaning, we will provide a Certificate of Performance sticker. Our clients find these stickers very useful for proving to code inspectors and their insurance providers that they are taking proper care of their kitchen exhaust system. Exhaust fan inspection: As a courtesy to our clients, we always inspect the exhaust fan when providing restaurant kitchen exhaust cleaning in Santa Ana CA. We grease the fan bearings and we can even replace the fan belt if you have spares on hand. Whether it’s time for a routine cleaning or you need an emergency restaurant kitchen exhaust cleaning in Santa Ana CA, you can count on Flue Steam. We can have a crew at your restaurant ASAP. Please call 800-700-FLUE now to schedule service.